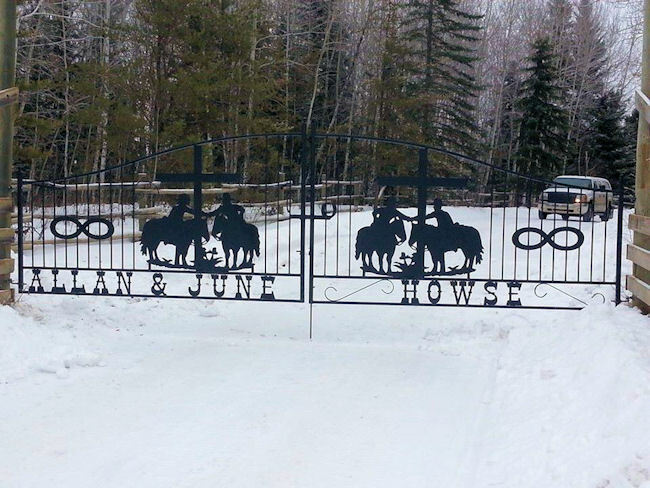 The estate gate makes a statement about your property. 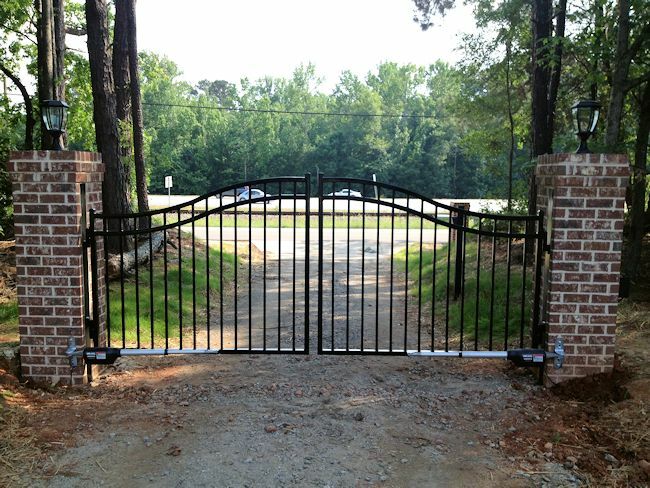 A properly designed estate gate can add beauty and present an elegant appearance to visitors. 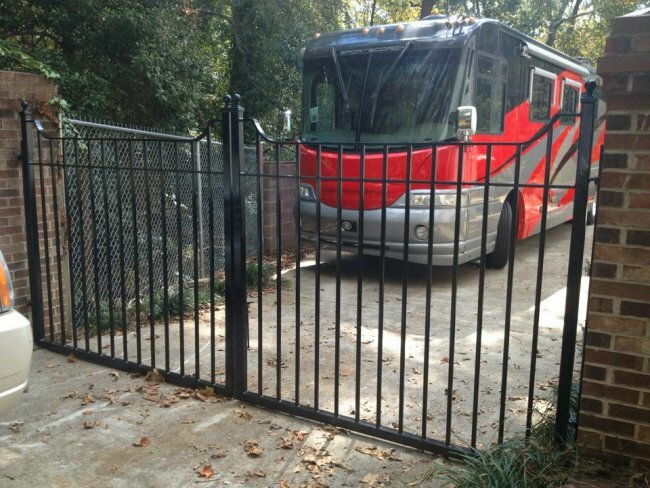 An estate gate may be used to accomplish other objectives; such as: increased security, contain children and pets. 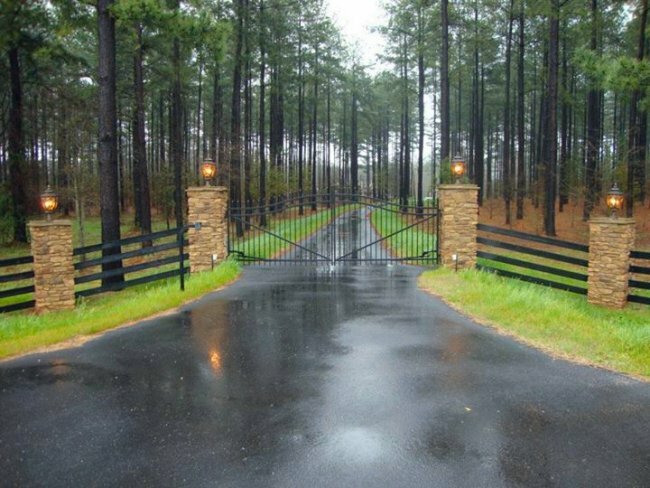 Akridge Fence Company will work with your design or help you design an appropriate estate gate based upon your current fence design and other objectives that you want to achieve. 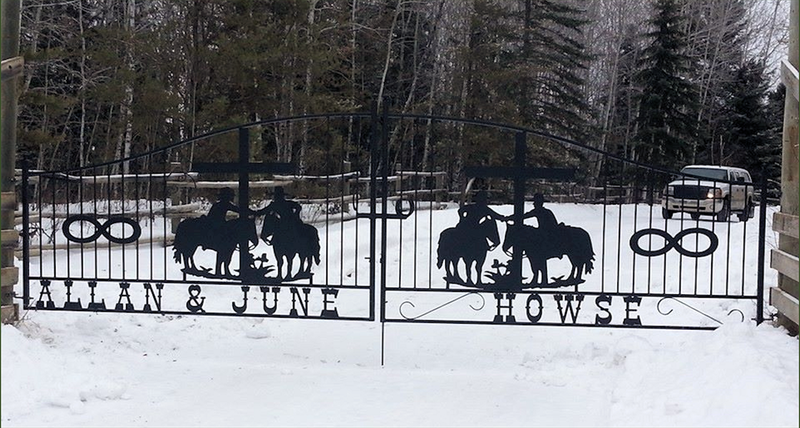 Estate gates come in all different sizes, shapes, and materials: ornamental iron gates, aluminum powder coated gates, and wood privacy gates. 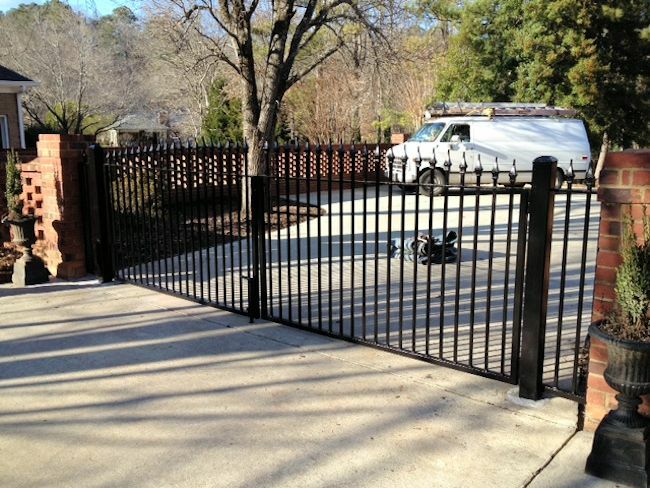 Your gate design should compliment the surrounding fencing whether it is wrought iron, aluminum, wood, or privacy fencing. 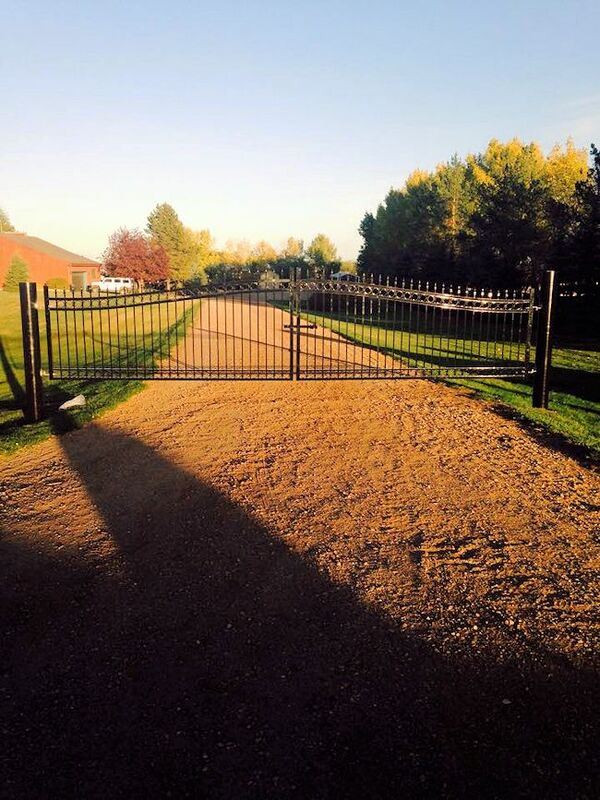 Many electronic gate openers are located at the end of driveways while others may be the entry way to a fenced yard. 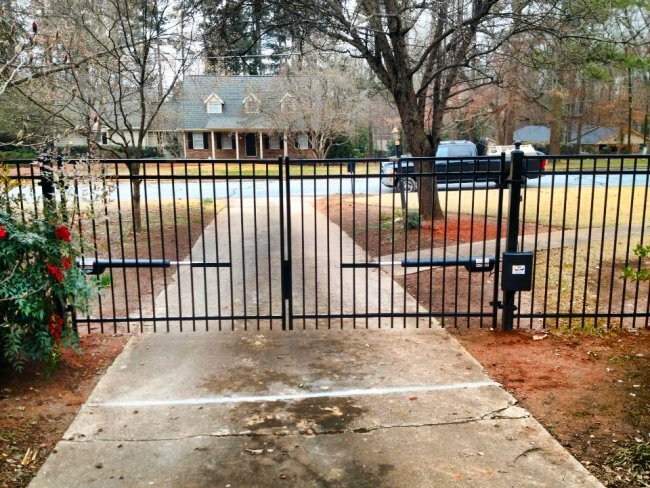 Driveway electronic gate openers may have wireless remotes to open and close the gates. 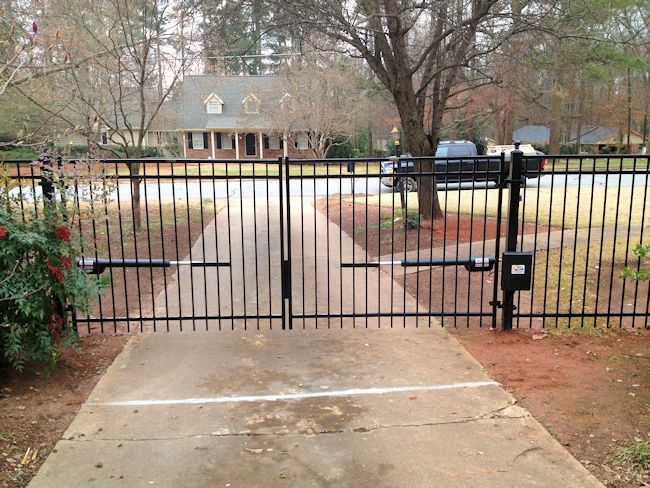 And, low voltage gate openers may have a small solar panel added to provide power if you loose electricity. There are number of different options for your electronic gate opener depending upon your needs. 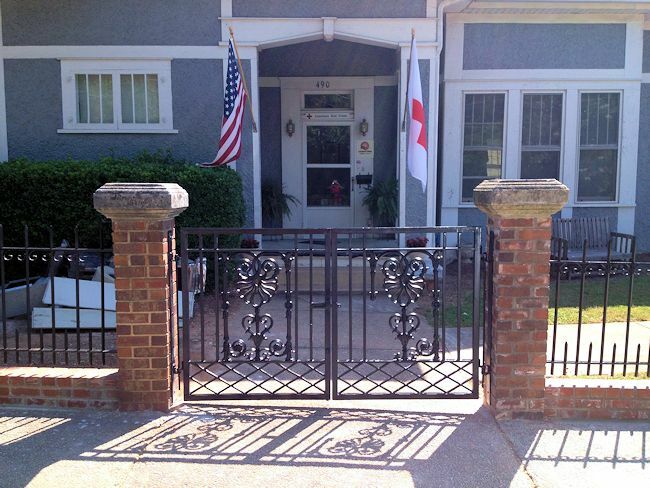 You can trust Akridge Fence Company to deliver a high quality product at a good price. 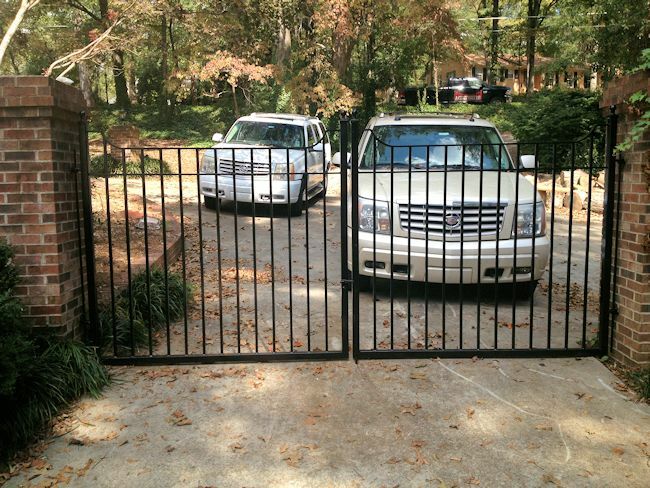 Akridge Fence Company installs high quality estate gates and fencing at a great price. 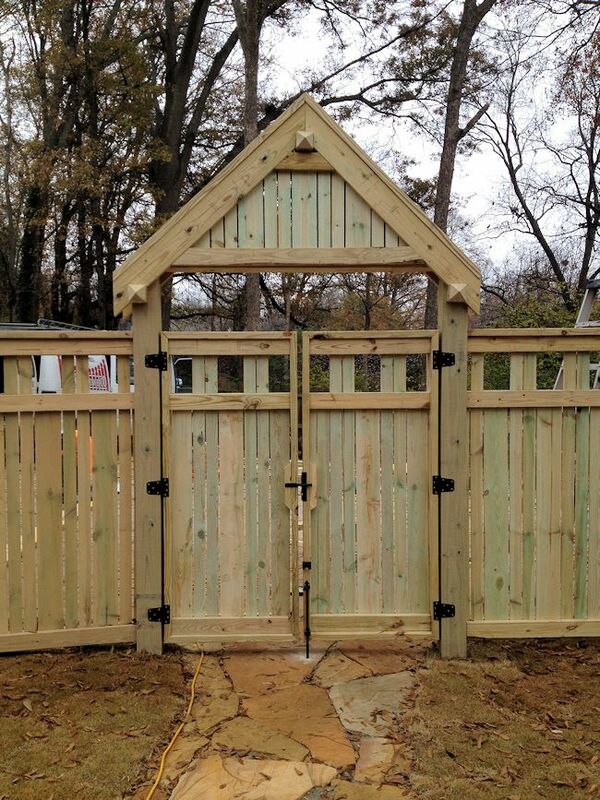 Akridge Fence Company does not install and run, we are there for you to provide maintenance not only for our fencing, but we are available to repair other fencing as well. Akridge Fence Company has the background, experience, and knowledge to deliver what you want and need at a cost effective price.